Invisalign Maple Ridge, BC certified provider, Dr. Ray Chow has been offering Maple Ridge area patients with Invisalign, the revolutionary treatment to straighten teeth, for many years. Never before has an orthodontic treatment been so effortless and convenient. The last thing a teenager needs in between school and activities is the stress of having to worry about straightening their teeth. Many teens fight against traditional braces due to their lack of comfort and their appearance. But, with Invisalign, your teen can straighten their teeth without any worries. Here at Silver Lake Dental, we want to make sure that every patient who walks through our doors has access to the oral health care they need. This includes treatment with Invisalign. For this reason, we offer a variety of financing options that can fit this treatment into any patient’s budget. If you are considering the Invisalign treatment, call Dr. Ray Chow for your Free, No Obligation Consultation. 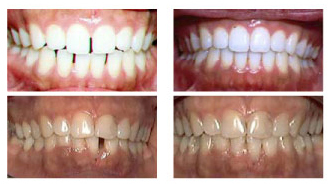 We can help you enjoy the benefits of having straight beautiful teeth, good oral hygiene and increased self-confidence. Browse our Invisalign Results section to view examples of how the Invisalign treatment has helped others achieve beautiful results, and see what they have to say about our practice. While all of these issues can easily be corrected using the Invisalign system, it is important that you visit an experienced Invisalign provider. Call us for a customized treatment plan that will get you started on your journey to your healthy, beautiful smile. Why Choose Dr. Ray Chow? 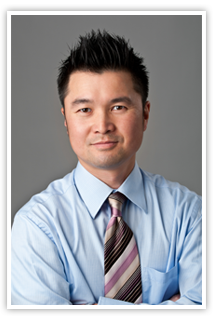 Dr. Chow’s primary goal is the quality of his work and the care of his patients. Having studied in all aspects of general dentistry, he understands the importance of having a straight, balanced smile. With skill and compassion to boot, Dr. Chow believes in helping his patients through their Invisalign treatment efficiently, while also staying educated on the latest techniques and technology in the field. Silver Valley Dental also boasts the latest technology for all of your dental needs. We house digital x-rays that dramatically reduce radiation exposure by 80%, and have comfortable chairs and TVs to keep you relaxed during treatment. We also can help families receive the dental care they need, reducing your need to run around to several offices for different members of the family.